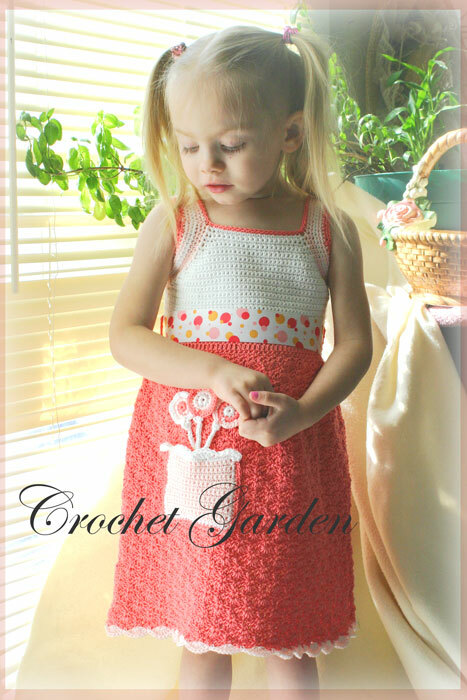 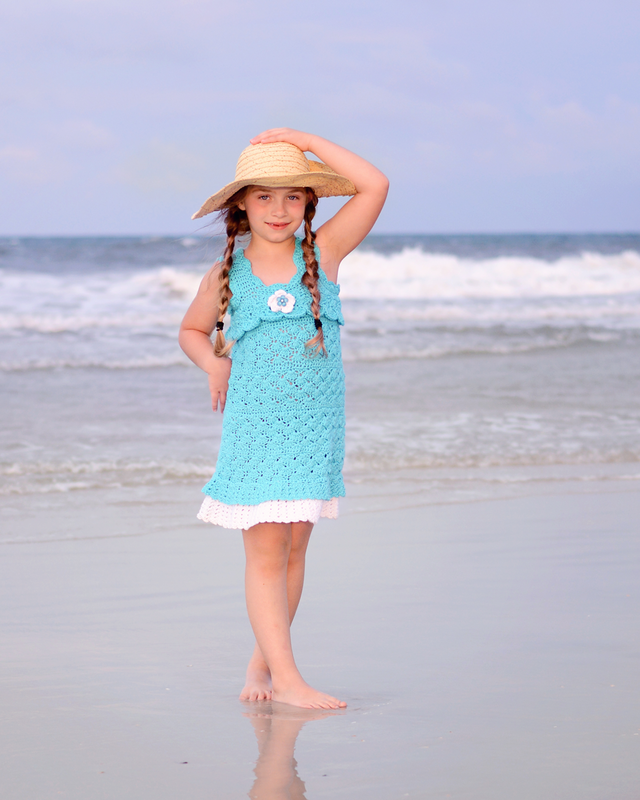 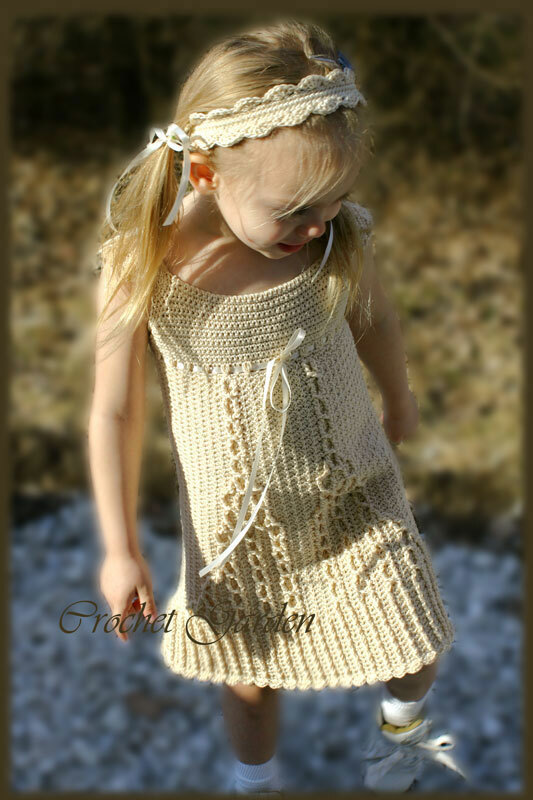 Description: Crochet this tank top pattern for all the little darlings in your life. 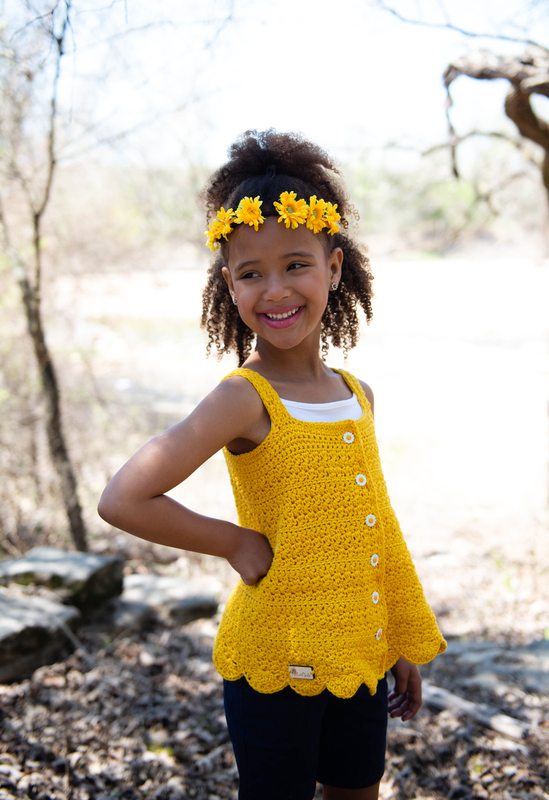 It is crocheted from the top down, allowing you to try on as you go for that perfect fit. 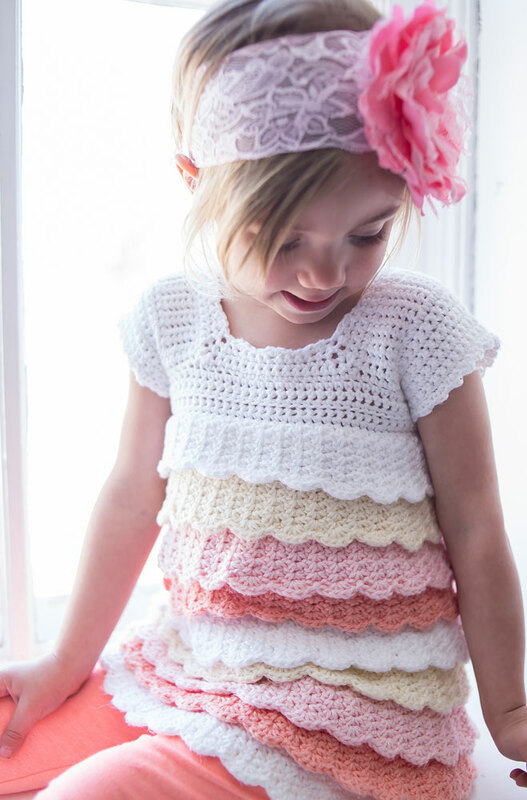 This crochet pattern design has an interplay of subtle texture shifts leading down to a striking stitching of angel lace. 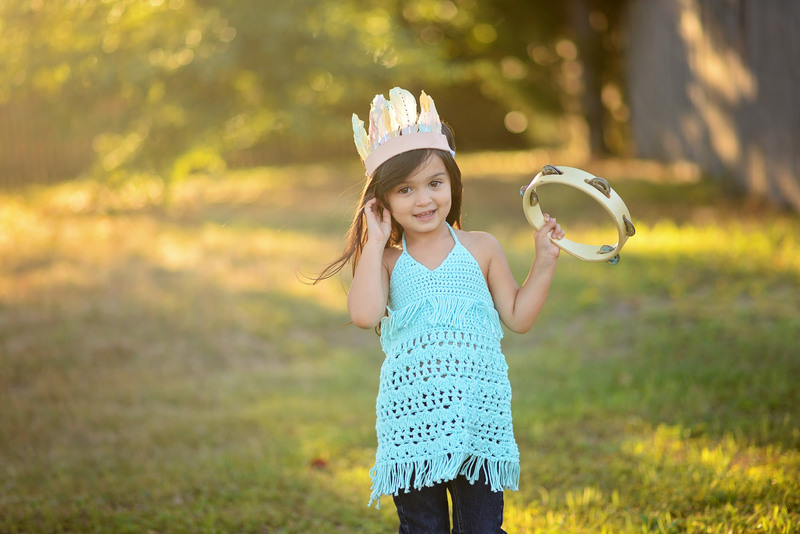 A perfect staple for the wardrobe- pair with leggins, a skirt, or a pair of jeans and cowgirl boots! 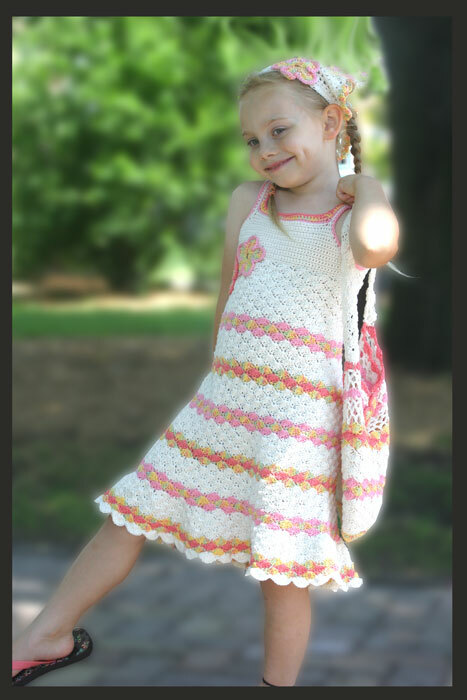 Materials: Yarn: Paton's Grace (100% Cotton: 230 yards/210 meters & 3.5oz./100g per skein; Yarn Standards #3.